At the most recent board meeting, President Al Leslie reported that their investigation into this situation showed that Cari and Eric appeared to be following all our rules and regulations. They shared with me a memo that was presented to the board that details all the measures they have taken to address the neighbors concerns and to protect their investment in ELA. When I spoke with Cari and Eric, they were very upset about what has been said about them, but they were also concerned about “stirring the pot” on a situation that they hope has been satisfactorily resolved. They agreed to share this memo they wrote to the board with us so that the members of ELA will have both sides of the story and can then make up their own minds as to how this issue effects our community, and we agreed to take out certain personal details and the last names of many of those discussed. First, I want to thank the board for taking the extra time to meet with us today. I also want to say it was one of the hardest things we have ever done to sit though the last board meeting and not say anything. Out of respect to the board for their request for us to not speak, we bit our tongues and tried to outline below a response to what came up in the meeting. I also want to express that I think it is odd that none of this was ever addressed to us directly by our neighbors or the association but we found out about it after the public attacks had already begun. – I think it is important for the Board to understand some of the background here. We have had a personal relationship with Mark and Ken since we first bought the lake house in 2007. They have been to our house probably 100 times for dinner and know my entire family, my parents and my brothers and sisters. I have 100s of emails where we have conversed back and forth on numerous topics. They have opened their home to us. Eric and I have both slept at their house on different occasions. I think they are both wonderful people and I am still reeling trying to understand all this. They were at our house for dinner as recently as July 22nd of this past year. And not ONCE have they ever mentioned that our house was a problem for the neighborhood. They have helped us and brainstormed with us on dealing with the issue of the bear that lives in the pond across the street from us relating to garbage issues. Last year Mark was requesting us to look at a friend’s home that was possibly up for sale on the Lake in Emerald Lakes and he thought it would make a great rental. He has kept an eye on our house for us and at my request let me know if cars were ever parked to the side of the driveway by the septic mound. We have given him use of Eric’s truck to pick up his dock and helped with the install of it. To sum it up, we had a very good open relationship that went way beyond your passing neighbor wave. – Mark and Ken got upset when (another neighbor) had wanted to buy a second rental home in West Emerald Lakes and informed us that they were going to do whatever it took to stop him from buying another home to rent. Clearly a lot of what is going on is somewhat political. – We have ALWAYS been very responsible when it comes to our septic. We have the tanks pumped and inspected four times a year and we have documents to back this up if anyone would like to review them. – The minute we noticed there was a problem with our septic we called in a septic repair company which started the ball rolling. I immediately filed a permit for an inspection and repair which involved the sewage enforcement’s approvals. We had a surveyor determine where the mound should be placed. There was absolutely no violation of any wetlands. There was no known contamination of any lakes. The edge of our mound was 70 feet away from the lake and there was no visual runoff. The Sewage Enforcement Agency was involved every step of the way and every phase had his approval. The Emerald Lakes Code enforcement approved the trees that were to be taken down and was also involved in each step. The work was done as quickly as possible. We did have some families in while waiting for the permits and when I had someone in over the weekend, I had the tank pumped twice in a weekend. Our holding tank was always fully operational and was never full to the pump since we had it pumped so much. If you talk to any septic company they will tell you that you can still use your septic tank as a holding tank and have it pumped. – Our personal property on public roads complaint….. I would welcome all board members to either look at google maps or look at the physical property or talk with Allen Roth on this topic. To the left of our backyard there is what is termed a paper road. On the maps of the community it shows a road that the community never followed through with. (Originally I believe it was a proposed site of a possible bridge that they ended up not putting in). It is not paved or graveled it consists of grass and trees. We had some small sections of floating dock that were stored in our yard and apparently unbeknownst to us they were partially situated on that paper road which is basically woods in our backyard. When Allen asked Eric to move it, it was immediately done. But to try and make a case for us breaking a community rule by having our personal equipment on a public roadway was ludicrous. I tried to include a picture for you to see but it is much better pictured if you go to google maps. As you can see, Hunter Lane disappears into the woods. The area that generated the complaint was right by the arrow. Clearly that is not impeding a roadway and again we moved it immediately but were not intentionally trying to break a rule like was stated numerous times. There are no markers for us to have even known that it was not our property. We are in the process of having it surveyed so we can be sure that we don’t have a problem again. – Board brought up in the meeting the discussion of neighbors having phone numbers. I want to clarify that we are very open sharing all our contact info and a number of our neighbors in the surrounding area have our home #, my cell phone and Eric’s cell phone. I find it interesting that we have never had a call about being a nuisance house other than an occasional call over the bear getting into our garbage which was addressed within hours of the phone call. The bear living across from our house has presented challenges that we are aware of and actively trying to address. I have read multiple posts of this bear being a nuisance in the community to other people as well. George Hobbs has made a couple of those calls to Eric which were greatly appreciated and George as recently as two months ago had invited Eric to come and use his woodshop and garage for any projects and never mentioned any other problems with the rentals. There are other neighbors in our area that will state privately that they have never had any issues with our renters but do not want to state anything publically because of being ostracized by other neighbors. When we first bought the house, we met Walter and Lynn. We exchanged home addresses and all our contact #s. I would imagine he did not save them from his comments at the meeting, but I still have all his contact info with four contact #s in my database. He also knows the other neighbors who he could have easily gotten our phone # from. It was a memorable conversation we had upon our first and only meeting with Walter and his wife who was quite lovely. When we explained to them that we were going to be renting out the house some of the time as well as using it ourselves, he proceeded to tell us a story of another house in the community that was a rental whose house mysteriously burnt down and they could no longer rent it. When he left our house Eric and I discussed how intimidating that was for a first time meeting. – Again it was extremely difficult to sit back and listen without responding when some of our neighbors were stating that we don’t care anything for our property but only care about making money. We have invested so much money into our home. We are on monthly contracts for landscaping and yard cleaning. We just spent almost 30,000 on a new septic which included new landscaping and tree planting. We are constantly doing updates and improvements to our house. I only wish that the majority of the homeowners in our community would put so much effort into their homes as it would improve the value for all. – Again I want to stress that in all the years that we have been renting we have only had two fines issued for the bear breaking into our garbage and one warning letter for noise. I feel is important to keep lines of communication open. How is a homeowner supposed to even know there is a problem with their home if their neighbors or the association don’t communicate with them? – We invite you to view our home whether it’s online or in person to see the quality of the furniture, the interior finish work, the quality of the bedding….all things that would not be put into a “party house”. The intent to portray our house as a party house with landlords that care nothing for their home is completely unfounded and can easily be dispelled with viewing our home and the care we put into it. – Charge a yearly fee to homeowners that want to rent their homes out on a short term basis. – Increase the costs of the temporary memberships for the short term renters. – Put into place higher fines for violations of the rules by short term rentals. – Set into place a quick communication of any fines to the homeowners of violations by renters. – Require all homeowners renting their house to submit a copy of their lease and make sure that the leases spell out the rules and fines for breaking those rules. – Require anyone renting their home to put appropriate signage up in their house to be sure that all tenants are aware of all the rules. – Require that all homeowners submit multiple contact #s for public distribution. – Create a spot on our website that we can publicize to all community members that they can access the homeowners contact info if there are any problems. – Also provide a list of all contact #s to the security guard or the service that answers the phones after the security guard is off duty. – Create a packet of sample leases, signage and rules to anyone that is renting their home to help them enforce the rules that will help the entire community. – If possible take some of the revenue generated from all of the above and put it towards an increase in security for the community. This way the community as a whole can benefit and the homeowners renting can be more closely monitored. – Embrace the renters as publicists for our community. Places like Lake Naomi heavily rely on the temporary membership to drive sales of homes as well as publicity for their community. Ramifications for the Whole Community of Implementing Restrictions on Short Term Rentals. – Current Climate of the Real Estate Market in Emerald Lakes and the Poconos – We currently have 79 homes for sale in Emerald Lakes Community (not including the estates). In the last 6 months only 18 homes have sold on the MLS and 14 of them have been for $127,000 and below the lowest one being a 3 bedroom home that sold for $28,900. – Clearly home values are not doing well and if we add the proposed restrictions, home values will drop further. – A large number of the buyers out there today are second home buyers or investors. If we go forward with the proposed restrictions on rentals we are going to automatically eliminate a huge number of buyers that won’t even consider buying into our community. – There are a number of homes that are rented where there have been absolutely no complaints from neighbors. It seems unfair to act on complaints towards a few houses and make rules that affect everyone that is renting in the community. – There are over 1600 homes in Emerald Lakes. One decision like this could affect everyone in the community’s home values. I welcome any one to talk to a local real estate agent to confirm this. I totally agree that we need to make sure that rentals are not affecting the quality of life of our full time residents or all residents, but it seems there are much more effective ways to go about doing this than putting restrictions on term lengths of rentals and doing something that has the potential to negatively impact home values for all 1690 home owners in the community. I think that as a community and a board we need to first give the landowners a chance to try to address some of the problems before taking just drastic measures like limiting terms that will so negatively impact others who have had no complaints at all. There were a few other landowners that were supposed to come today as well that were very negatively impacted by Sandy and could not make it here. I have discussed a number of these points with them and they are in total agreement that they want to work with all of us to try to address this issue without losing their right to rent their home. I appreciate the board being open to hear both sides of the argument and feel strongly that there is a way we can all work together to have a positive outcome for all. Posted on November 26, 2012, in BOD Meetings, In the News and tagged Al Leslie, Board of directors, Emerald Lakes, Emerald Lakes Association, Fine (penalty), HOA, Homeowner's Association, Lake, Law, rental properties, Septic tank. Bookmark the permalink. 2 Comments. Clearly this is Emerald Lakes politics at its worst. Having served on the board and seeing firsthand how the needs of the one outweigh the needs of the many this behavior doesn’t at all surprise me. For example Millie Bishop just wants to create more rules and makes it impossible for young families to grow and prosper and always caters to the senior citizens. You need to understand that the majority of the board has their own agenda and makes decisions on knee jerk reactions. 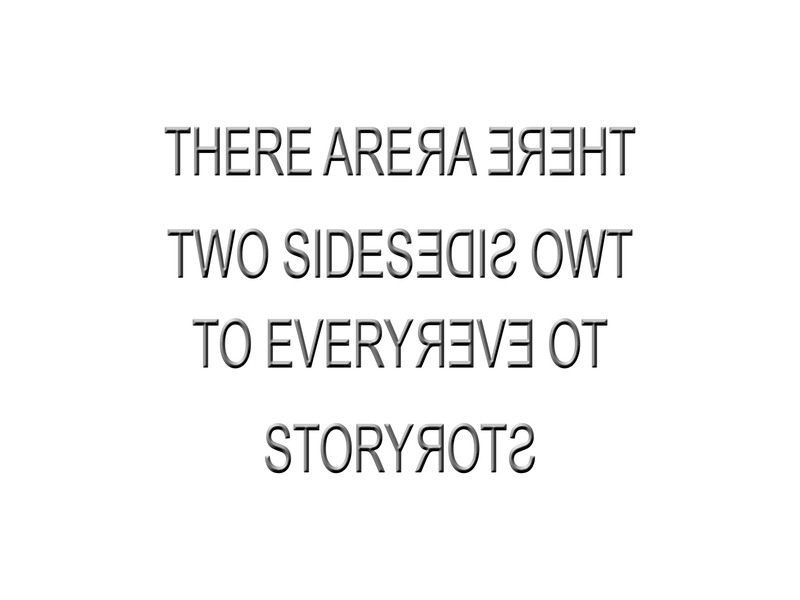 The majority of the board only sees one side of the story and that side is theirs. I for one am disgusted by the fact that you were asked not to speak at the open meeting. I never would have allowed that. Keep the faith and know you have support. I am shocked that neighbors are not seeing the flip side of this issue. Home values have already suffered so much in this area. Placing restrictions or limitations on people’s ability to rent their homes will absolutely cause further decline in property values. The Pocnos in general have always been a vacation spot for families, and those families spend monies that stimulate the local economy. The neighbors that are complaining must not have a local business, because tourism dollars keep many local businesses alive.